Well, we weren't expecting this one. Reggie Fils-Aimé has opened his very own Twitter account, entering the world of social media for the first time as he leaves the role of Nintendo of America President behind. Yes, if you've somehow missed the news, the beloved Regginator has stepped down from his role at Nintendo today, handing over the keys to Doug Bowser. It was unclear whether or not Nintendo would mention Reggie's departure for one final time, but it seems he's taken things into his own hands. As this article goes live, the account has been active for just over 15 minutes. In that time, he's already gained over 15,000 followers and this will no doubt grow at a tremendous rate over the next few days. The day I left twitter Reggie appears. I truly wonder what his next move will be. The retronauts podcast episode on his career was really informative, and I'd like to see what one does after being president of a "beloved" company. Also pretty funny to see how he got such a coveted @. As cool as this is - I'm not gonna follow him. Whatever he tweets from this point on will probably be xbox-related. Too bad I don't use twitter. That's pretty cool, will definitely follow him. Can't wait to see what he ends up doing in his "retirement"
Don't go all political on us Reggie. Twitter is pretty bad but I wish him the best. May his body always be ready. How did he manage to get the @Reggie twitter handle?! Can't help but look at that action figure and have the voice or Arnold Schwarzenegger saying "My body is ready, eyn, eyn, get to de choppa!!!!" Wow, I didn't know Reggie was this bad at judgement calls. Poor guy likes to suffer I guess? @neufel I assume he paid for it. Surely someone had @reggie before now? Well, I would give him a follow, if not for the fact that I don't use nor ever will use the cesspool that is Twitter. I was just about to say the same thing. Very unlikely, but maybe the original was dormant. Guess it's his luck for appointing a supervillain to replace him. @Timppis NL will make a headline of every tweet, don't you worry... you've done the right thing! He could make memes of himself for years. How much did he pay to take @Reggie. I wonder. Surely it had to be taken already. Makes sense. Twitter is the social media equivalent of a retirement home and he has retired after all. @gwyntendo @Joeynator3000 Pizza Hut money. Holy crap this is EXACTLY what I said I hoped would happen. Never thought it actually would though. This will be great. Impressed that Reggie got @Reggie. Not following until I find out what he's doing with it. My best guess is absolutely nothing so why bother? If Bowser gets @Bowser I'll follow him immediately as the President of NOA. Come to think of it I think I already am. Cant' recall him EVER showing up in my feed though. Am curious to see if he updates his info tomorrow, it still reads "Head of Sales & Marketing at Nintendo of America"
Tempting. However I stay away from the social media. I'm sure NL will make articles out of his meme worthy tweets. Leak us some pre-E3 goodness, Reggie! Speak to the Regginator, my people. I have a confession to make: I didn't like Reggie. He has 138k followers already. 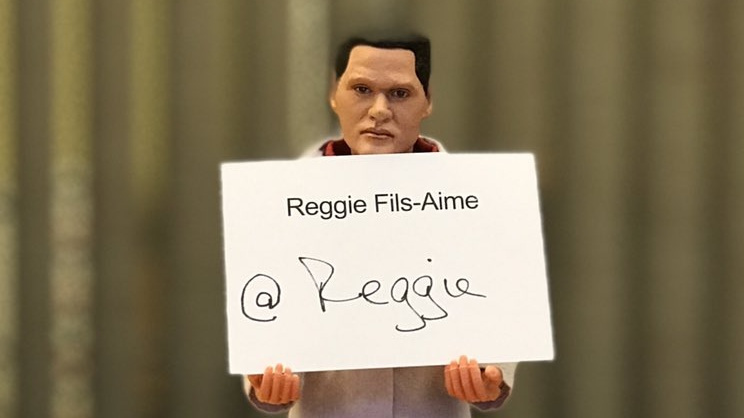 Reggie has gone viral! Maybe things will improve now that some of the old guard are stepping down (or dying). Some Nintendo fans have a crush on this guy for some reason. Just another suit and tie In the cesspool of corporatised gaming. Twitter is the dirty armpit of the internet. I treat it the same way I do old gym socks - as in, if I am forced to touch it, I limit the contact as much as possible and then wash thoroughly afterword! But I know most people seem to like it, so you guys have fun! And I truly do only with Reggie the best! I kinda wish he'd become a Twitch streamer or something random like that. I wonder if he'll still be active with the Nintendo community, though that doesn't seem like much of a stretch - the question I should probably be asking is, "How active will he be with the Nintendo community?" Twitter is a good tool if used correctly, especially for those of us who enjoy being socially conscious and being informed in real-time about certain things. @ThatNyteDaez why do you say that? I really hope this doesn’t backfire, Twitter has been overwhelming heated for years and the toxicity has only been increasing by the tenfold. I feel that the best move for him to make probably would have been staying off the internet publicly and just doing the occasional interview here and there. I wouldn’t be surprised though if Nintendo is keeping tabs on him considering that he is one of the major faces of the company still despite him not being President anymore. Someone else named Reggie got a bit rich in a very lucky account buyout probably. Reggie is married and has three kids. So you might say... Mrs. Fils-Aime is a Mother of 3? @elpardo1984 well whats even weirder is that the wayback machine only shows 2 snapshots of twitter.com/reggie. one in 2009 and today. @rjejr Always wondered if I could reply to myself, guess so. Bowser did update his twitter account this morning. Yesterday his profile read: "Head of Sales & Marketing at Nintendo of America"
and this morning it reads: "President at Nintendo of America." Never had the same level of infatuation with the guy as some others do. Has was seemingly very corporate in the way he carried himself. I wonder what average citizen had that handle taken from them so Reggie could use it. Also, he should have gone with TheReginator anyway.